I took my kids to lunch. We didn’t go to McDonald’s or Chic-fil-A. We didn’t even pick a place with a play area. My five-year old son chose a sushi restaurant. My two-year old daughter agreed with his choice. We ordered a couple of rolls and ate up: a delightful little lunch date with my progeny. I never liked sushi. Not as a kid. Not as an adult. Not after friends and family tried, determinedly, to help me realize its culinary scrumptiousness. You know how you aren’t “allowed” to eat sushi during pregnancy? Well, that’s when I ate it and finally liked it. Actually. I loved it. And I didn’t love much during pregnancy. I’m one of those lucky moms who gets to be sick the entire pregnancy! I am amazed that my kids not only tolerate but love sushi. Feeding kids demands a special level of patience. I understand that kids are truly unique and come with their own strong-willed opinions, whether it’s about how they dress themselves or the food they will agree to consume. 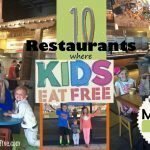 With that said, these are the five strategies my husband and I have used to raise our kids to be excellent eaters. This is what has worked for us. 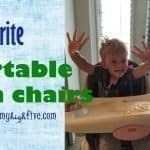 Have you tried any and do they work with your kids? The first thing we started with was BLW. 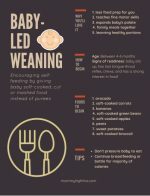 If this is a new term for you, you might think baby-led weaning is the technique we used to wean our kids off of breastmilk and formula. I thought that at first. 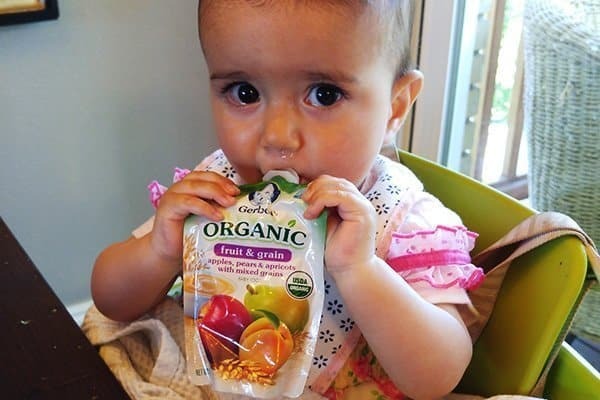 But, it’s actually the term for weaning kids ON to solid food, starting around 4-6 months old. 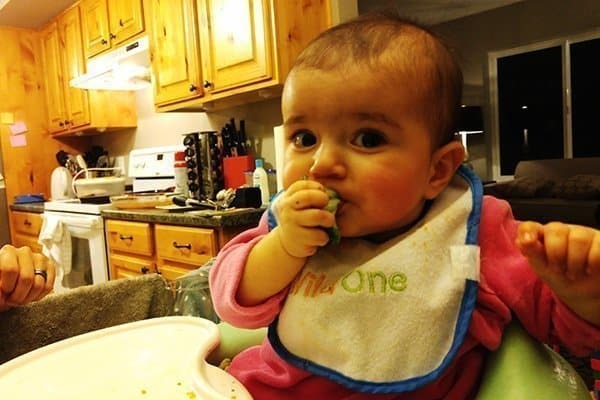 It’s pretty common for baby’s first solid foods to be cereals or pureed jars of food. 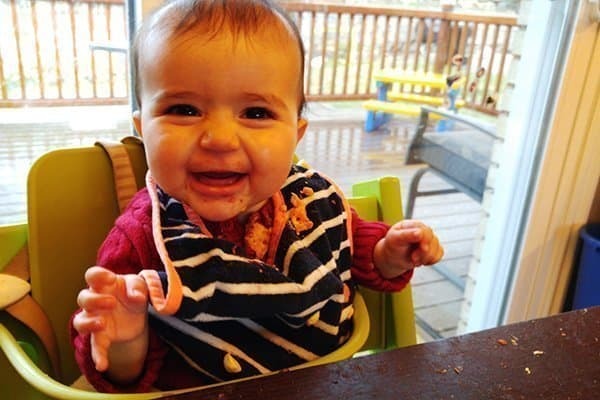 With BLW, though, you’re giving them solid food in a different way. Check out this great printable on when and how to try it out. BLW is encouraging self-feeding by giving baby soft-cooked, cut or mashed food instead of purees, spoon-fed by mom or dad. I was happy to hand over the food decisions to my daughter, which brings us to our next strategy. I grew up being told, “You can’t leave the table until you eat everything on your plate.” I think a lot of us experienced the same thing. 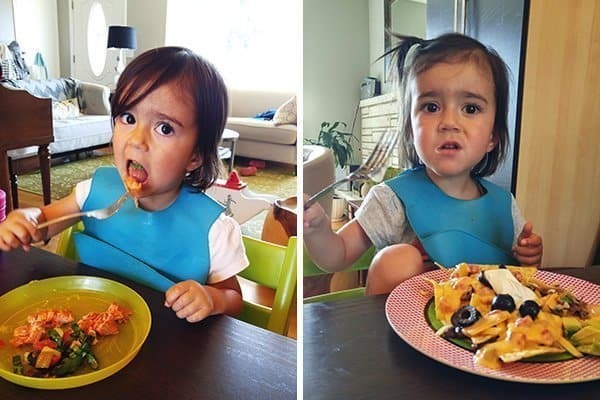 Our parents wanted us to be good eaters, especially if we were fussy eaters! In college, I took a nutrition class where I learned a new strategy for teaching kids to eat healthy: providing them options and allowing them to choose what and how much. This sounded better to me than having to stay at the table until I choked down the butternut squash staring back at me on my plate! Now that I’m a parent, I’ve learned that this strategy isn’t fool-proof. Kids want to leave the table and go play! I have to find balance between when my kids think they’ve eaten enough and when I think they have. I try to give them options and let them know they have to at least eat some of their vegetables. Maybe they’ll try a little bit of that pesky butternut squash and then say, “No way!” They need to choose another healthy option on their plate, then. Including vegetables in meals doesn’t necessarily mean giving them a few extra sides. If we can incorporate it into our food, our kids will eat more. My husband does a good job of mixing it into pastas. My kids will go for chard or kale when it’s pan-fried until crispy. My husband also makes a delicious meatloaf, which starts with a mirepoix—which is a mixture of celery, onions, and carrots, sautéed until soft—added to the meat mixture. Earlier this week, I made a pesto sauce that included spinach. It’s pretty easy to do when you simply dump the ingredients in a food processor and turn it on! It’s fun to experiment with food, which brings us to the next strategy! I am now in charge of cooking most meals, which means we’ve tried a lot of new things simply because I need recipes and my husband doesn’t. One evening, he suggested that I put together a spreadsheet of the recipes that I’d tried and keep track of whether or not our kids liked them. I do love using spreadsheets for everything. He knows me! Instead, I took a more visual approach and created a separate Instagram account. 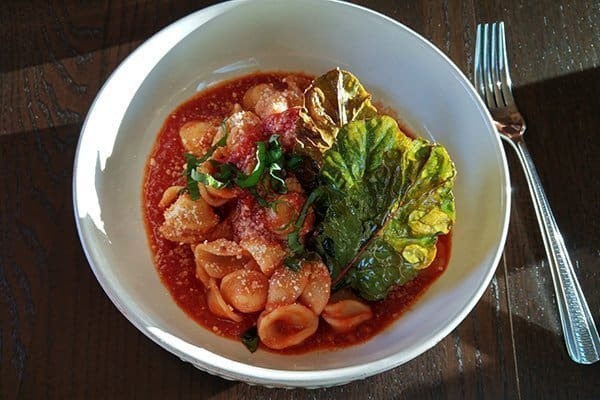 For home-cooked meals, I take a picture of the plated food, post it to the account, and include a note about whether it was a #winner or a #loser. Now that I’ve been doing this for a while, I can open up that account and scroll through pictures of food, looking for ideas of what to make this week. I continue to try out new things and my kids are willing to try them with me. I’ll print out new recipes, then tweak them for our liking. That’s how we put together our own recipe for Instant Pot chicken shwarma with homemade laffa bread. It was a definite #winner! 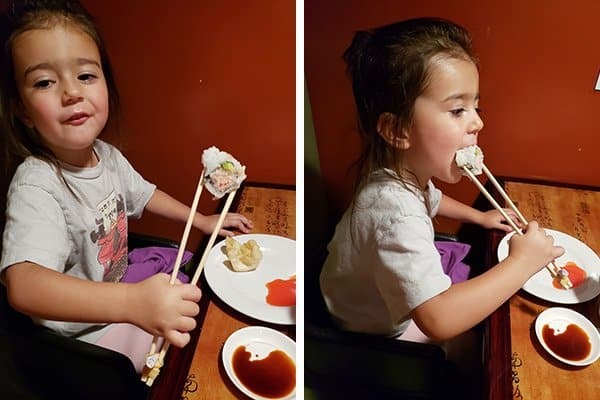 Because we try out new things as often as we do, my kids have learned to be willing to at least try one bite. There were many nights where dinner was a total #loser and we resorted to fruit and veggie packets from the store. Those things are the best! How did our parents raise us without them? Speaking of parents… here’s our last strategy! Leading by example is the hardest and best way to teach your kids anything. Being a good eater (instead of a picky eater) is one of them, which is hard for me when I want my kids to eat seafood! I try to pretend it’s delicious so my kids want to try. Do you ever do this? It helps me to remember that our taste is malleable. You can change your palate if you are willing. Those smart scientists (thanks, Harvard! ), have evidence that we can be in charge of what tastes good to us by what we choose to eat. So, if you want to change your own food preferences, work on it for a few weeks. You’ll be surprised by the change. By the way: I still like sushi and I plan to never be pregnant again!